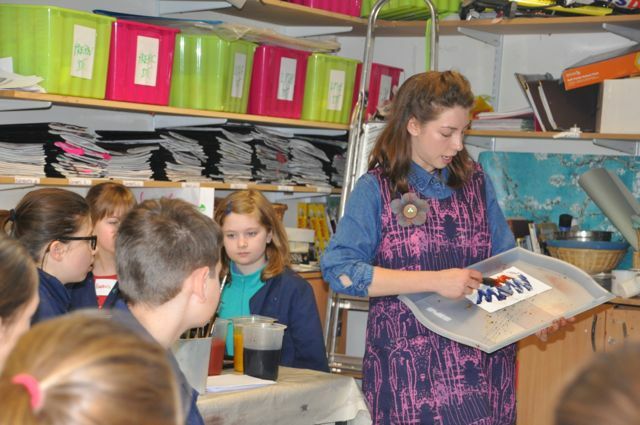 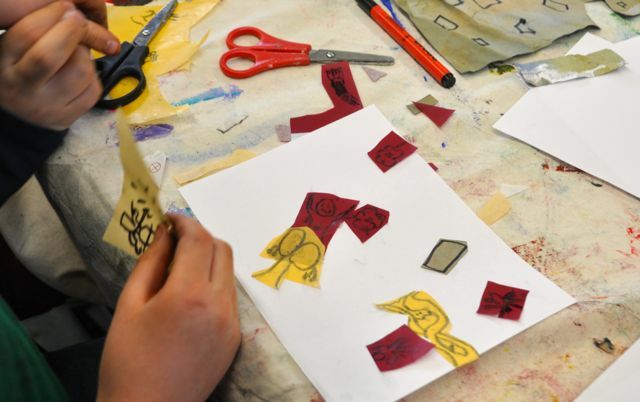 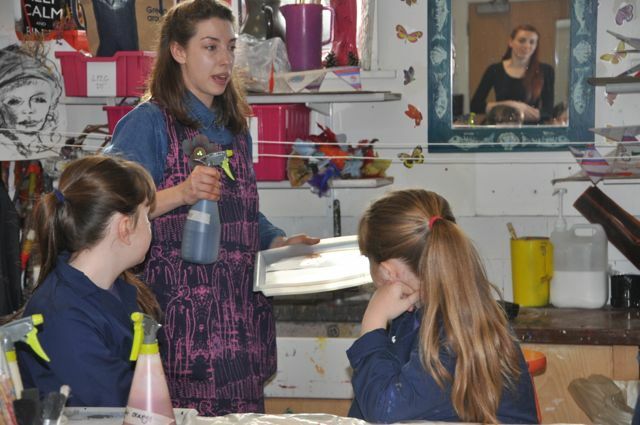 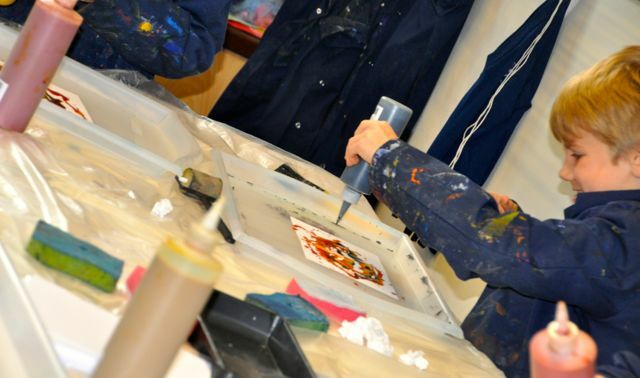 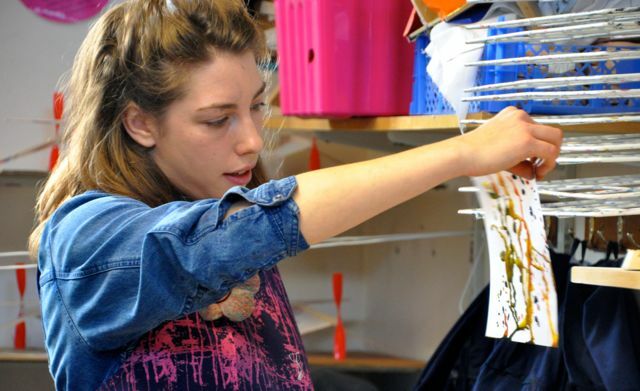 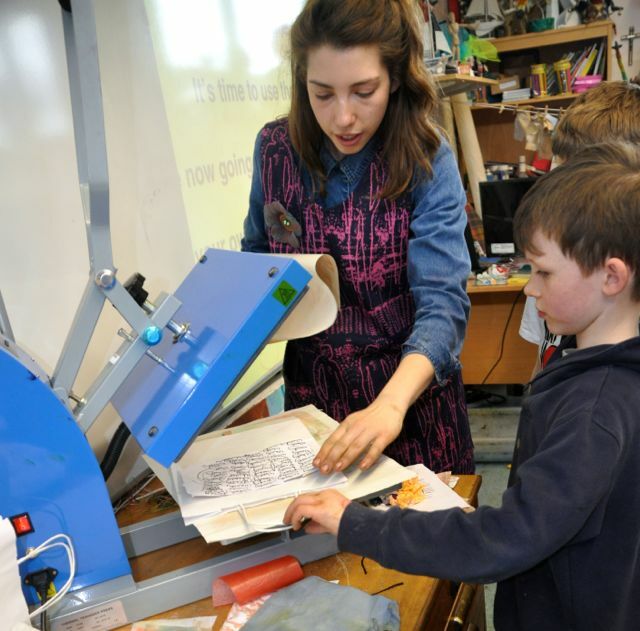 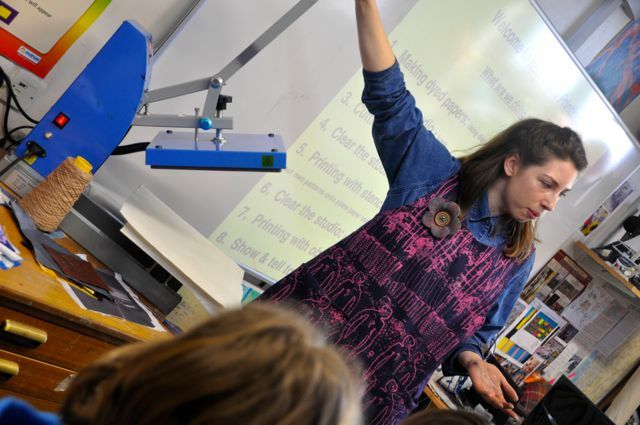 Artist Nicole Line led day one of our Pop-Up Print Studio, introducing the children to the art of using a heat press to transfer designs onto fabric and paper. 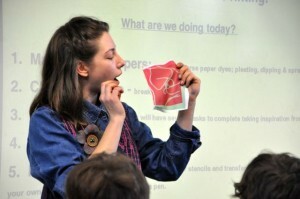 And demonstrating different effects to dye paper. 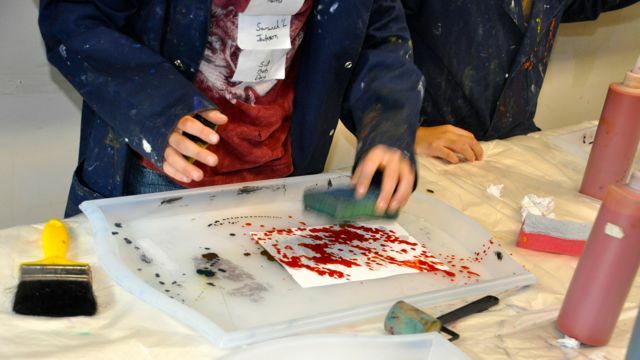 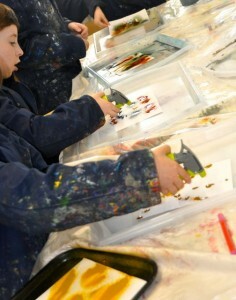 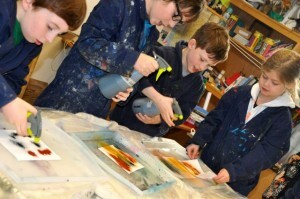 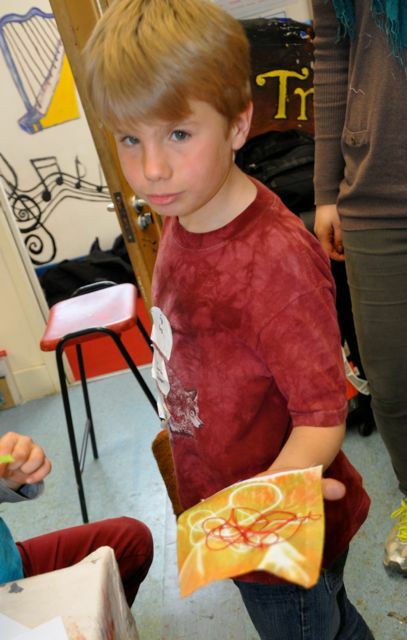 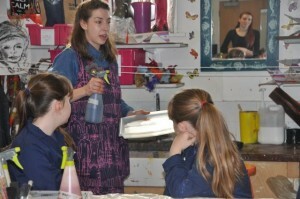 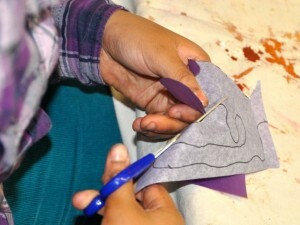 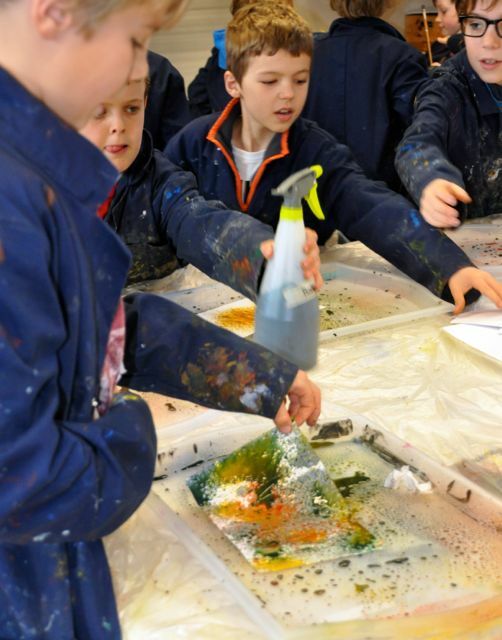 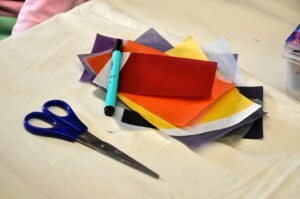 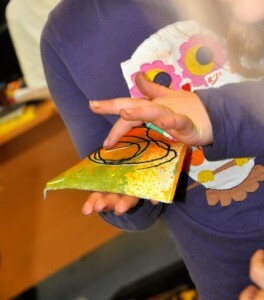 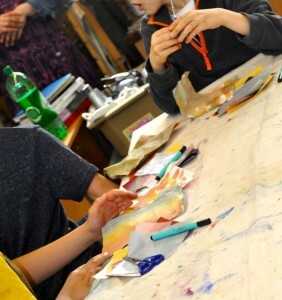 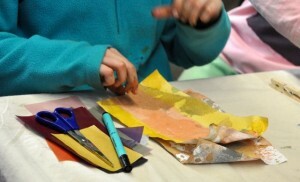 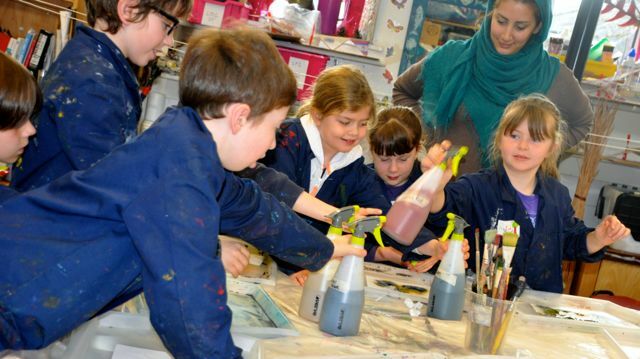 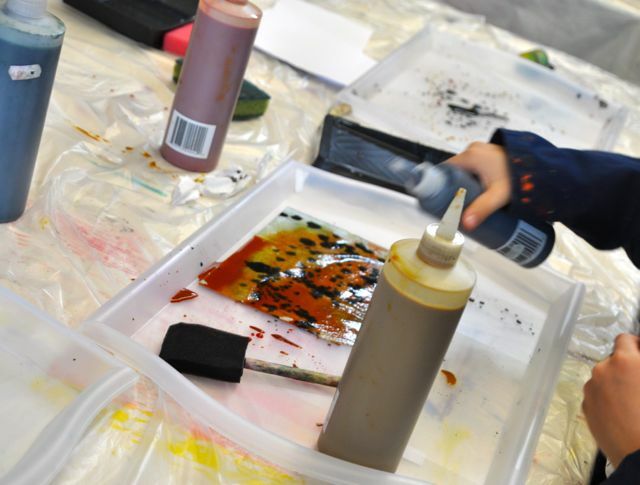 The children then experimented with the different effects to make many samples of dispersed dyed paper. 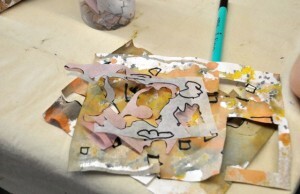 This was a great fun way to start the morning. 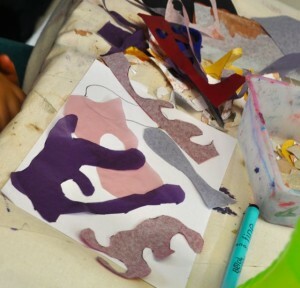 The colours were vibrant, as were our ideas! 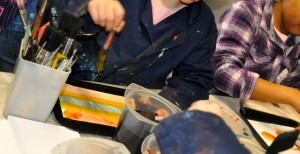 We were up for experimentation. 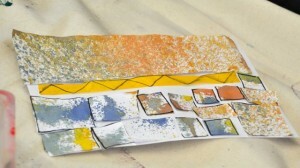 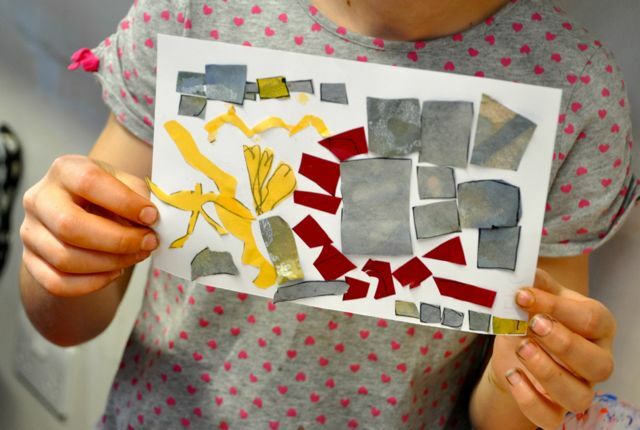 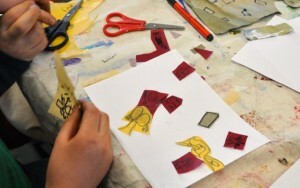 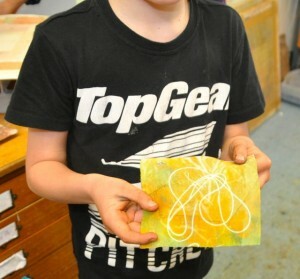 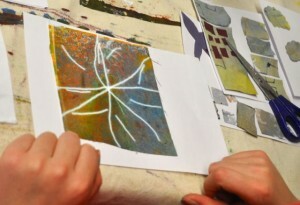 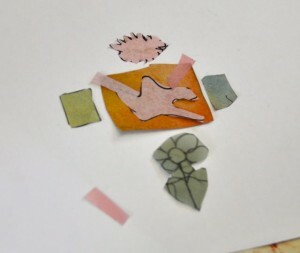 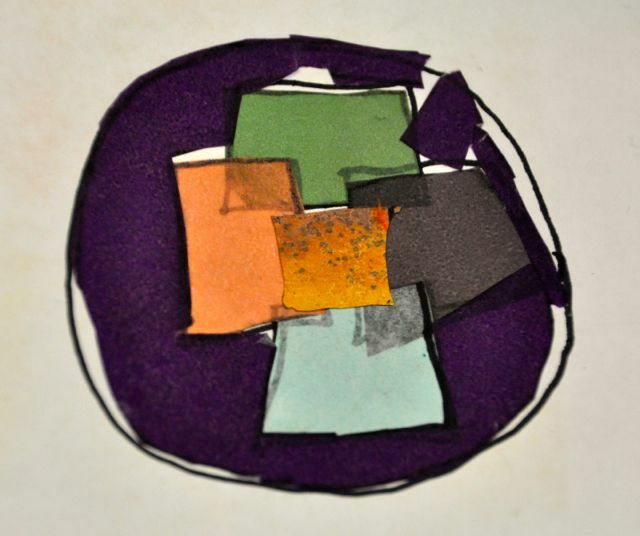 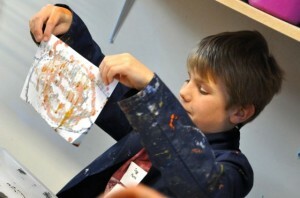 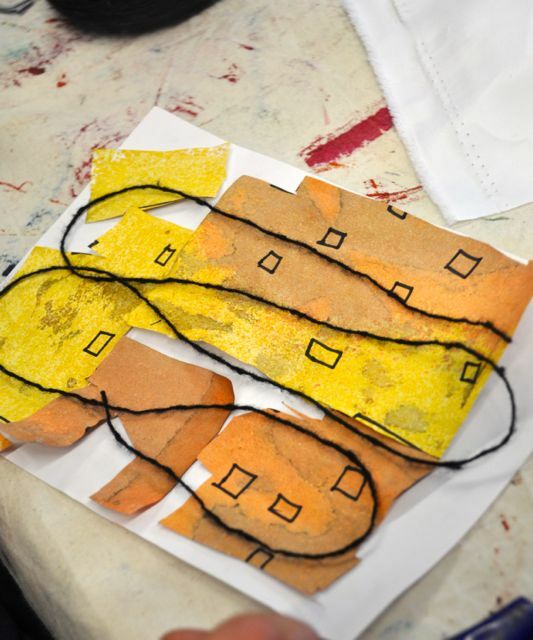 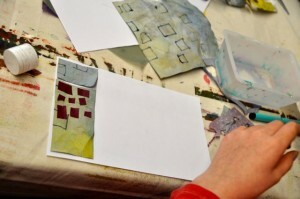 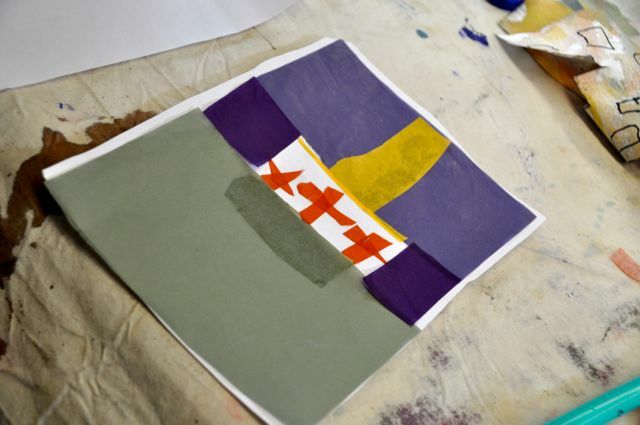 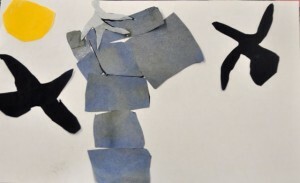 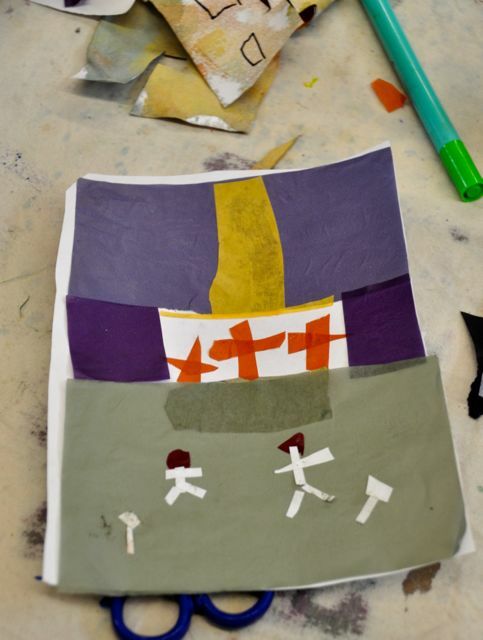 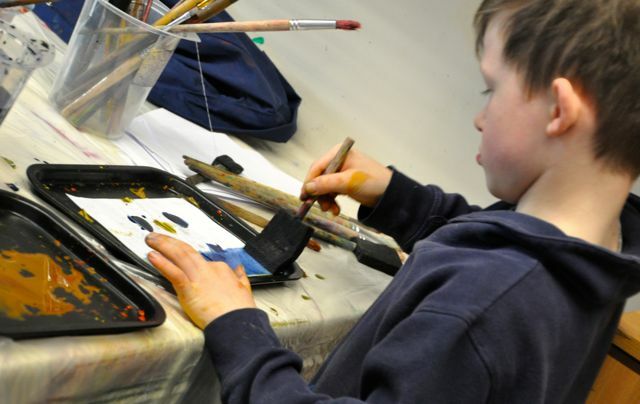 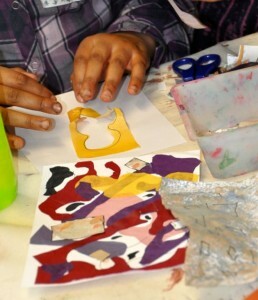 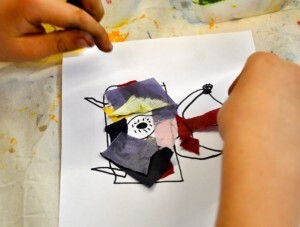 We then made small collaged pictures with pieces of our hand-made, dye dispersed paper. 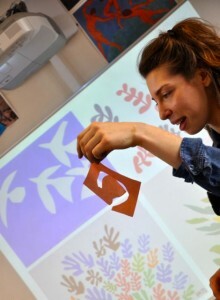 We were inspired by artists like Miro and Matisse. and some told a story. 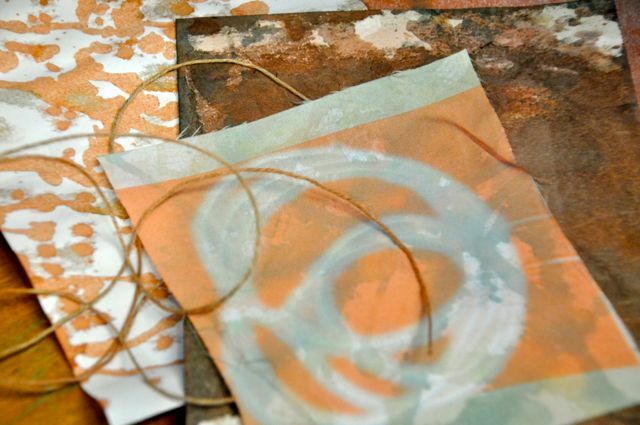 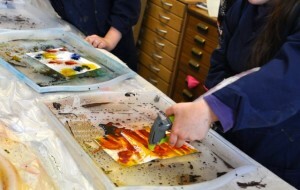 After break we used our disperse dyed papers in the heat press. We drew with string onto a piece of fabric then put it through the press. 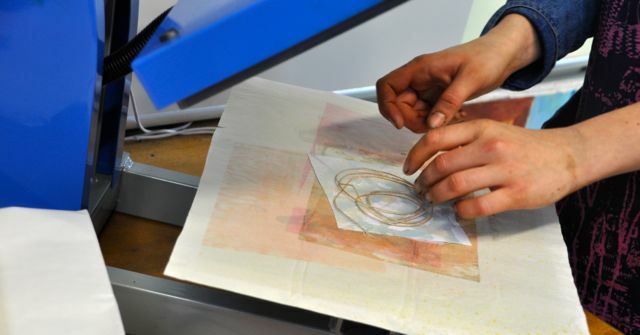 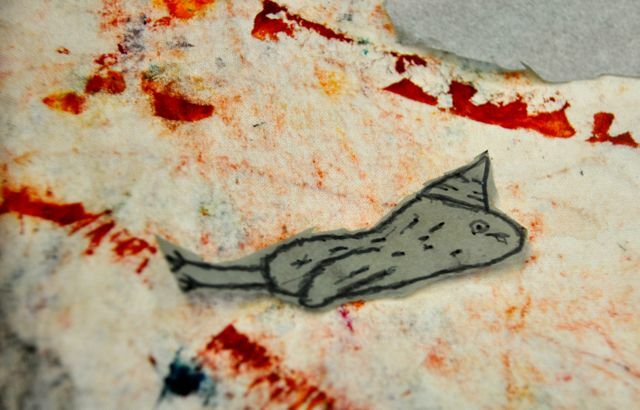 The heat transfers the ink onto the paper or fabric, leaving a negative where an object like string has been. 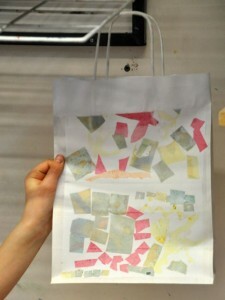 It created beautiful and dramatic effects. 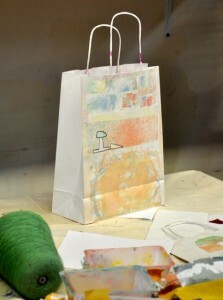 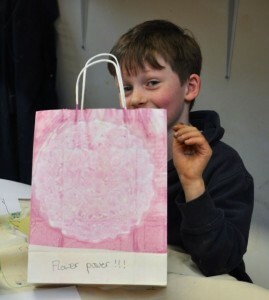 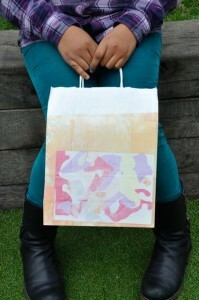 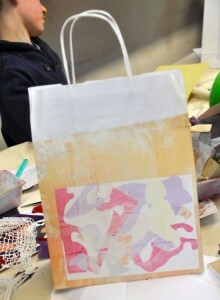 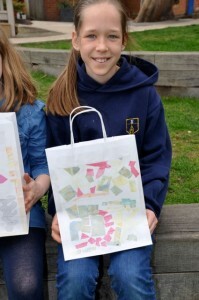 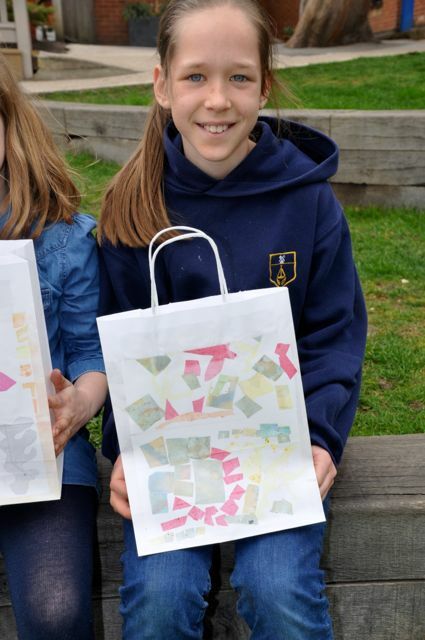 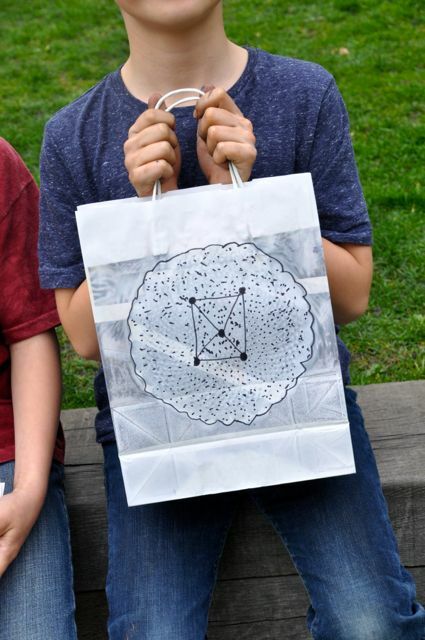 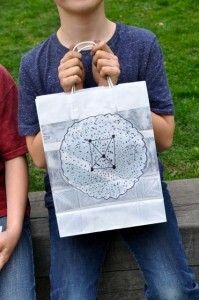 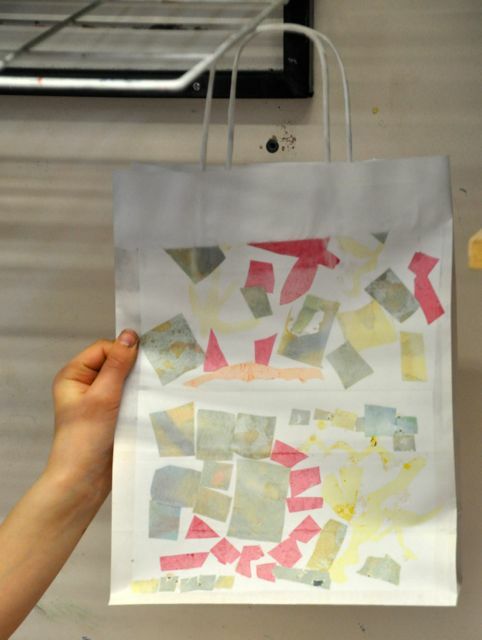 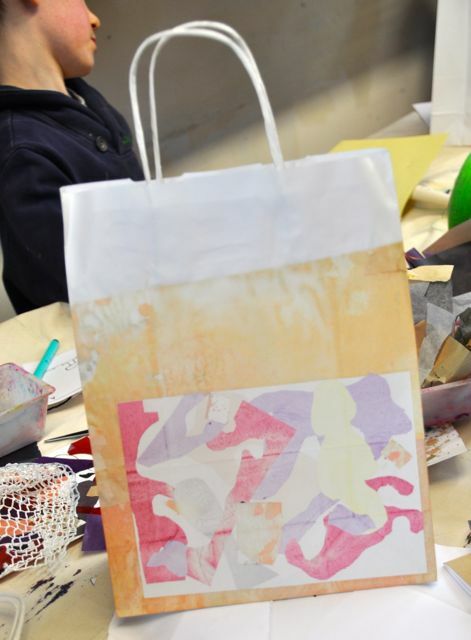 We then began to layer our designs and printed onto a paper bag. 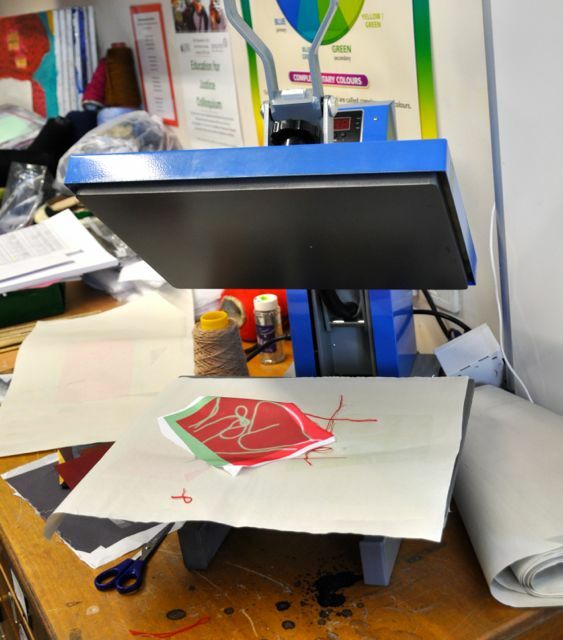 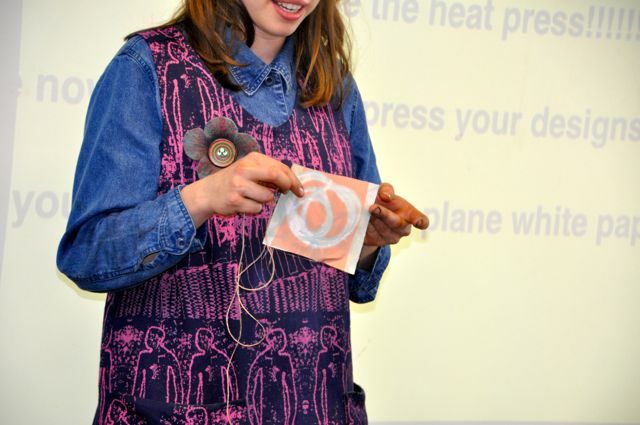 We experimented by putting many things through the heat press; Lace, fabric and Doily…. 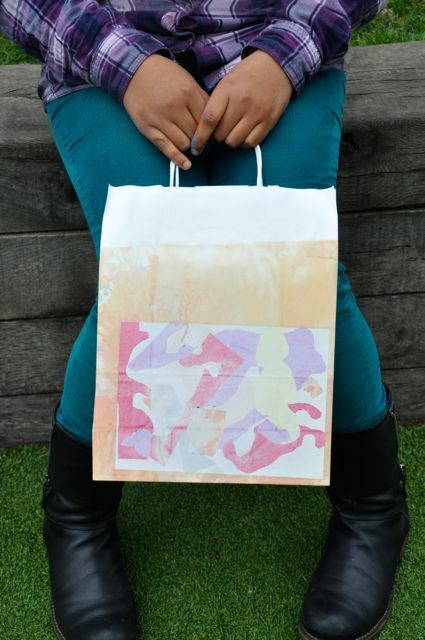 Here’s what it looks like when heat transferred onto a paper bag. 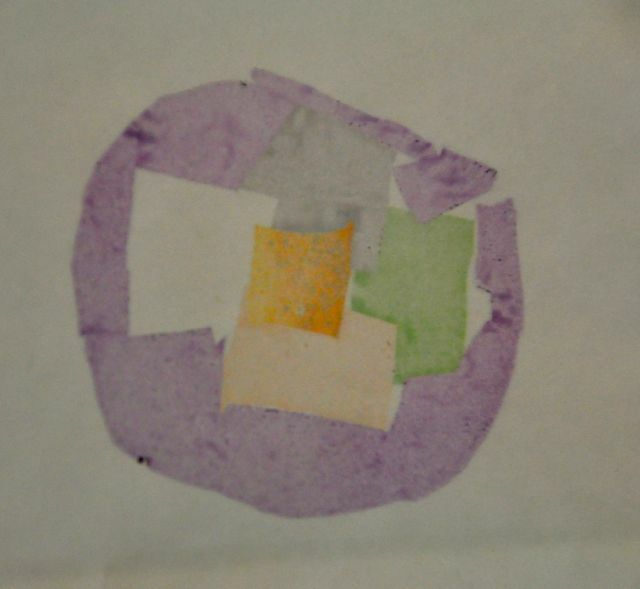 Tomorrow we will continue to experiment with printing techniques. Investigating the possibilities of the screen print.